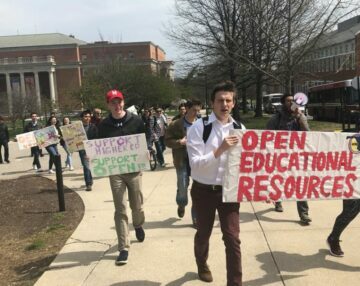 Food insecurity – the lack of reliable access to sufficient quantities of affordable, nutritious food – is common at colleges and universities across the country, potentially undermining the educational success of untold thousands of students. Given its potential impact, the collective understanding of this issue is still far too limited. The existing studies on campus food insecurity have almost exclusively looked at individual colleges and university systems or focused on community colleges. 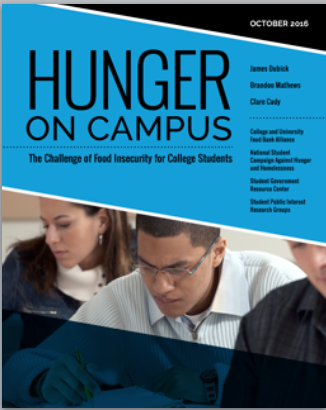 In order to expand the understanding of campus food insecurity, the coordinators of this report set out to implement the broadest study on this issue to date by surveying students across a wide range of regions and school types. 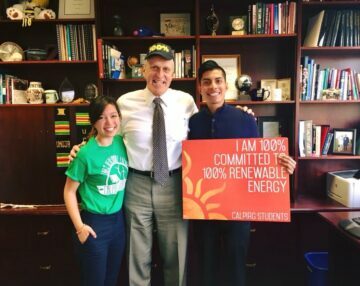 In doing so, the goal was to foster a more expansive understanding of campus food insecurity and its impact on students, while also bringing national attention to this critical issue. 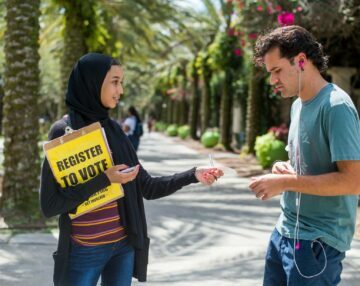 Four campus-based organizations – the College and University Food Bank Alliance, the National Student Campaign Against Hunger and Homelessness, the Student Government Resource Center, and the Student Public Interest Research Groups – surveyed college students on food insecurity between March and May 2016. The study sample includes 3,765 students in 12 states attending eight community colleges and 26 four-year colleges and universities. The sample was assembled using in-person recruitment, and represents about 0.5% of the students attending those 34 institutions.